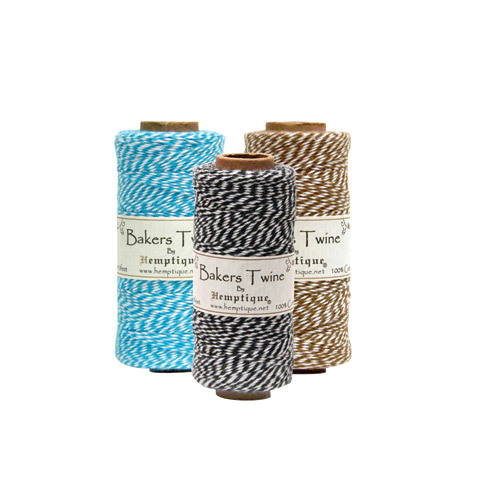 This cotton baker's twine is a great choice for crafts, gift-wrapping, scrapbooking, card making, cooking and many other uses. The eco-friendly twine is 1mm thick, 2-ply per color, weighs 5g and is available in 410 ft. spools. Artists can decorate handmade cards and scrapbook pages with this twine to create a modern or vintage look.